Galadriel in The Hobbit: An Unexpected Journey Movie desktop wallpaper, Cate Blanchett wallpaper, The Hobbit wallpaper, The Hobbit: An Unexpected Journey wallpaper, Lord of the Rings wallpaper, Galadriel wallpaper, Lady of Lathlorien wallpaper, Movie wallpaper - Movies no. 47727. 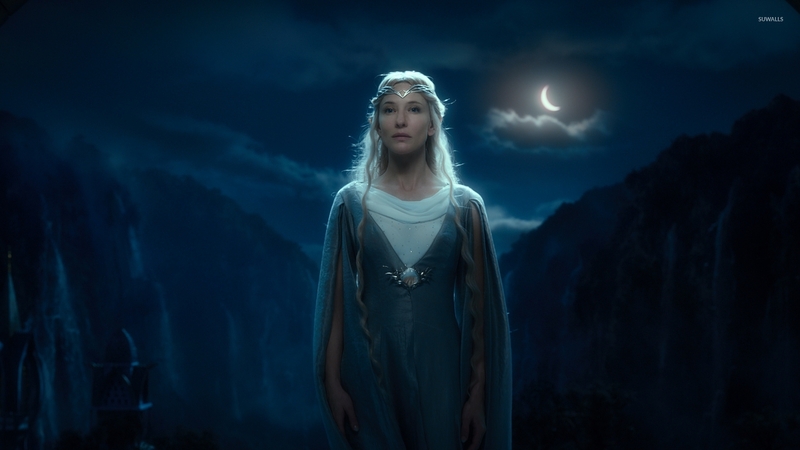 Download this Galadriel in The Hobbit: An Unexpected Journey Cate Blanchett The Hobbit The Hobbit: An Unexpected Journey Lord of the Rings Galadriel Lady of Lathlorien desktop wallpaper in multiple resolutions for free. Catherine Élise "Cate" Blanchett (born 14 May 1969) is an Australian actress and theatre director. Blanchett came to international attention for her role as Elizabeth I of England in the 1998 film Elizabeth, directed by Shekhar Kapur. She is also well-known for her portrayals of the elf queen Galadriel in Peter Jackson's The Lord of the Rings trilogy and the upcoming The Hobbit, Colonel-Doctor Irina Spalko in Indiana Jones and the Kingdom of the Crystal Skull and Katharine Hepburn in Martin Scorsese's The Aviator, a role which brought her an Academy Award for Best Supporting Actress.